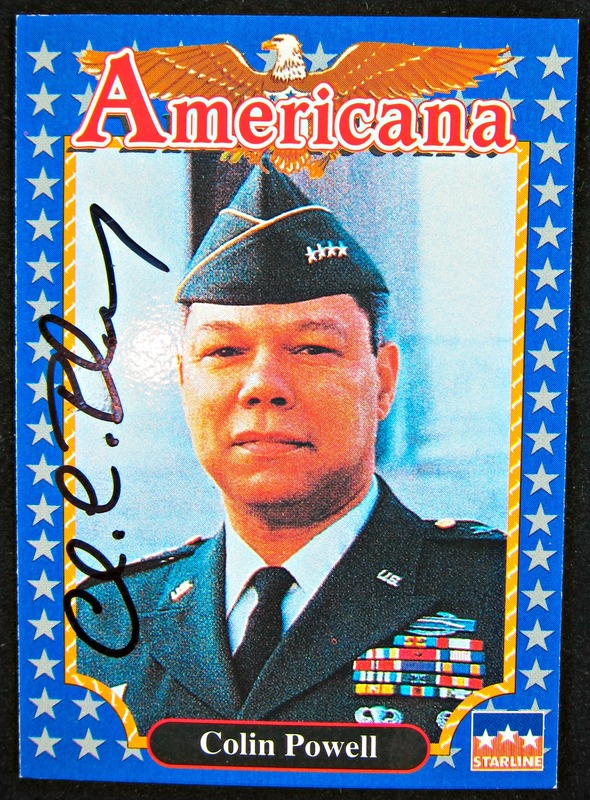 Starline Americana autographed Colin Powell #211 card. Colin Luther Powell is an American statesman and a retired four-star general in the United States Army. He was the 65th United States Secretary of State, serving under U.S. President George W. Bush from 2001 to 2005, the first African-American to serve in that position. During his military career, Powell also served as National Security Advisor (1987–1989), as Commander of the U.S. Army Forces Command (1989) and as Chairman of the Joint Chiefs of Staff (1989–1993), holding the latter position during the Persian Gulf War. Born in Harlem as the son of Jamaican immigrants, Powell was the first, and so far the only, African American to serve on the Joint Chiefs of Staff. Powell was born in New York City and was raised in the South Bronx. His parents, Luther and Maud Powell, immigrated to the United States from Jamaica. Powell was educated in the New York City public schools, graduating from the City College of New York (CCNY), where he earned a bachelor’s degree in geology. He also participated in ROTC at CCNY and received a commission as an Army second lieutenant upon graduation in June 1958. His further academic achievements include a Master of Business Administration degree from George Washington University. Powell was a professional soldier for 35 years, during which time he held myriad command and staff positions and rose to the rank of 4-star General. His last assignment, from October 1, 1989, to September 30, 1993, was the 12th Chairman of the Joint Chiefs of Staff, the highest military position in the Department of Defense. During this time, he oversaw 28 crises, including Operation Desert Storm in the 1991 Persian Gulf War. He also formulated the Powell Doctrine. Following his military retirement, Powell wrote his best-selling autobiography, My American Journey. 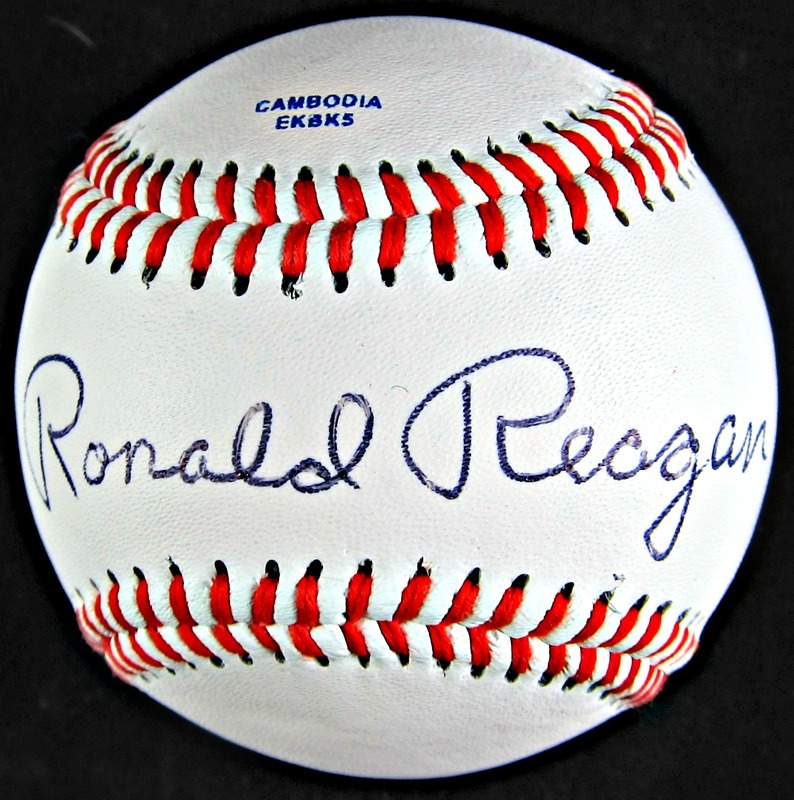 In addition, he pursued a career as a public speaker, addressing audiences across the country and abroad. Prior to his appointment as Secretary of State, Powell was the chairman of America’s Promise – The Alliance for Youth, a national nonprofit organization dedicated to mobilizing people from every sector of American life to build the character and competence of young people.